In building dams, beaver naturally achieve many of the goals we strive to accomplish in our conservation and ecological restoration work. Could this animal be one of our most powerful partners? In the midst of the Anthropocene, it can be easy to forget that not that long ago, there was another mammal that modified its habitat to suit its needs and, in so doing, dramatically impacted landscapes on a continental scale. That animal is the beaver. In building dams and altering hydrology, the beaver is believed to have sculpted the stream valleys, waters, and wetlands of North America, Europe, and Asia, for thousands of years. How Do You Think Like a Beaver? 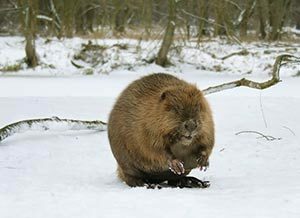 But the beaver’s impact on the landscape began to diminish dramatically when humans began to desire its fur for hats and coats. By the 16th century, beaver were hunted to extinction in England. By the early 20th century, the Eurasian population had diminished to just 1200 animals, and in North America, beaver were down to 5% of historic populations. Were it not for the whims of fashion, humans might have wiped the beaver entirely out of existence. Thankfully, when silk hats became more fashionable than beaver hats in the mid-1800s, the beaver fur trade declined. Of the roughly 30 genera of beaver that once existed, only one (Castor) remains today. 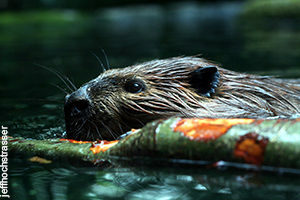 For many decades, that genus’ only two remaining species, North American beaver (Castor canadensis), and Eurasian beaver (Castor fiber), were considered nuisances, as their dam-building activities impacted human uses for land, such as agriculture and infrastructure. In recent decades, however, people have begun to recognize the ecological benefits delivered by beaver. With this recognition has come the realization that this animal just might be one of our most powerful partners in restoring degraded ecosystems and adapting to the conditions of a changing climate. 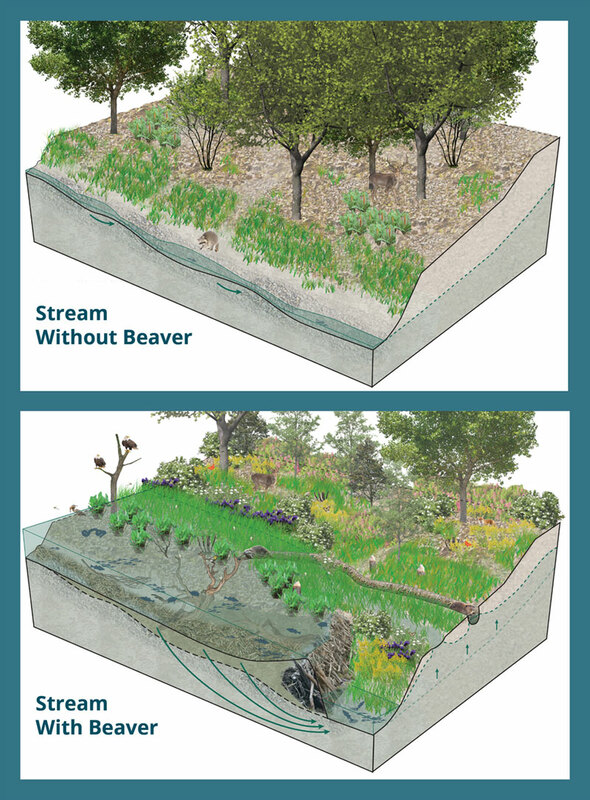 In building dams, beaver naturally achieve many of the goals those of us in conservation and restoration strive to achieve: they raise water tables, reconnect and expand floodplains, increase base flows and hyporheic exchange, improve water quality, and add habitat complexity and diversity. In fact, the beaver’s impact on other animals and plants is so profound it is now considered a keystone species. With the rising interest in the use of beaver and structures that mimic beaver dams as tools for ecological restoration and climate change adaptation, and with beaver-related restoration projects springing up throughout many parts of the world, leading North American experts felt it necessary to create The Beaver Restoration Guidebook in 2015. 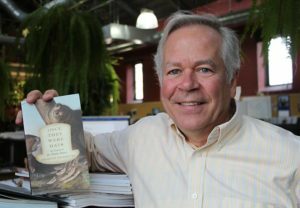 The Guidebook is now in its second (2017) edition, with a third on the way, and we were thrilled to have the chance to speak with one of its principle authors, Dr. Michael Pollock of NOAA’s Northwest Fisheries Science Center. Despite the popularity of the concept of beaver-related restoration, the tool is by no means a panacea. Before we can universally proclaim beaver as the most sustainable and cost-effective tool for ecological restoration and climate change adaptation, we must face and study certain realities. Devices such as “Beaver Deceivers” created by wildlife biologist Skip Lisle, and flow mechanism created by Mike Callahan of Beaver Solutions are helping to resolve some of the conflicts between the needs of these furry creatures and our own. But there are still site constraints and regulatory hurdles to consider. We also must examine our expectations regarding the use of this relatively new tool. Just how much work can we expect beaver and their dams to do for us? And under what conditions? Geologist/hydrologist Caroline Nash is part of an interdisciplinary team whose work is helping to provide just such a reality check. 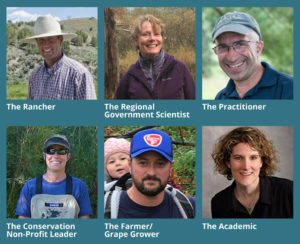 While leading researchers like Michael Pollock and Caroline Nash offer valuable insight into the application of beaver for restoration, it is important to hear the voices of others involved in implementing, teaching, or coexisting with beaver and beaver-related restoration. In this spirit, we share six uniquely different perspectives. For those unfamiliar with this furry, ecological engineer, we provide some Beaver Basics. Jessica Hardesty Norris takes us to the UK, where we shine our Non-Profit Spotlight on the Devon Wildlife Trust, whose beaver research includes England’s first wild beaver re-introduction project. Joe Berg reviews the book Once They Were Hats: In Search of the Mighty Beaver by Frances Backhouse, and shares insight into the history of this ecological engineer we humans nearly wiped from existence. When using beaver as a tool for restoration, it can be helpful to try to think like a beaver. But how do you do that? Since we can’t ask a beaver, Suzanne Hoehne tried the next best thing: she queried attendees at the Upper Midwest Stream Restoration Symposium. 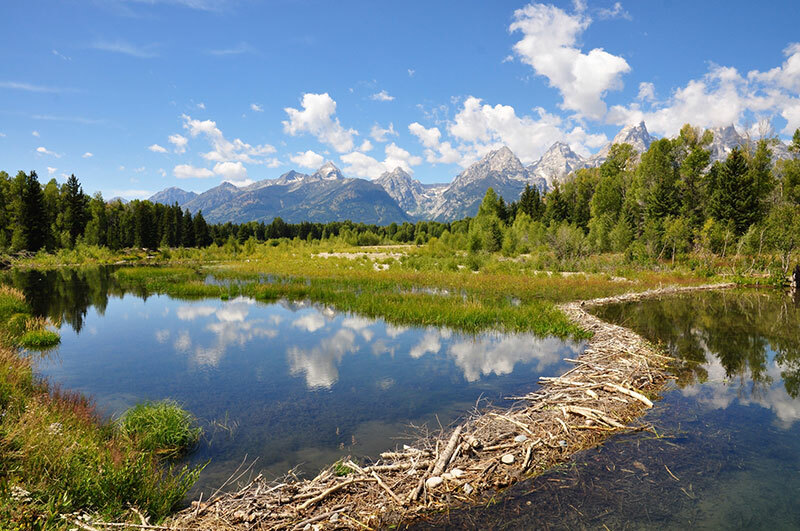 In Biohabitats Projects, Places, and People, we share some of our own experiences with beaver as planned and unplanned ecological restoration partner. We also introduce you to the newest member of our team, and let you know where to find our staff in the coming weeks.